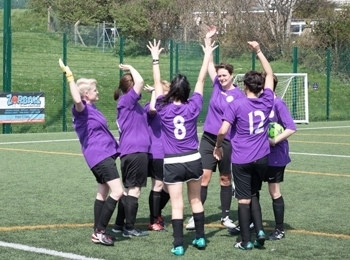 Seagals Football - Friendly football sessions in Brighton for LGBT & friends. The Seagals are pleased to announce that Proud Robinson & Partners, heavyweight creative PR firm with offices in Brighton & London, have provided shirt sponsorship to subside the cost of the women's 2019 teamwear range. 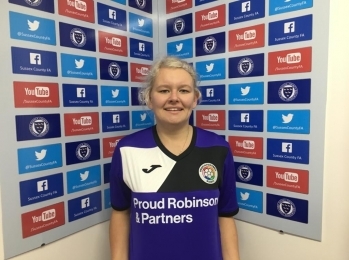 In partnership with GR Teamwear in Burgess Hill, the football managers have secured a deal which means new shirts will be subsidised until the end of the season to make them affordable for players on all incomes. Proud Robinson market themselves as "Creatively & Credibly Challenging The Status Quo" which very much matches the ethics of the team and our LGBT campaigning within the football community. We are happy to have the support of such a fantastic company, especially with their Brighton office being only down the road from our training ground. Seagals meet every Thursday from 7:30-9pm at The Manor in Kemptown. Our sessions are open to all ages & abilities, it's all about having fun and being social. We start with a warm up and then straight into friendly matches - some weeks we also introduce coaching. Drop us a text if you'd like to join or just turn up and you'll receive a friendly welcome! Most weeks we head out to the pub after for food and/or a social drink. The nearest bus stop is 'St Marys Hall' which serves popular bus routes 1, 1A, 7 & 23. The pitch is 3G so you can wear trainers, astro/turf trainers (TF), hard ground (HG), firm ground (FG) or artificial ground (AG) boots. Wear whatever you feel comfortable playing in - there are changing rooms, toilets & showers available. £5. You can play once without being a member but you must join BLAGSS after that. We are affiliated to Sussex County FA so are provided with exhibition game opportunities including 'Football v Homophobia' throughout the year. In addition we arrange friendly small-sided matches/tournaments against local amateur sports groups which are open to all our players. 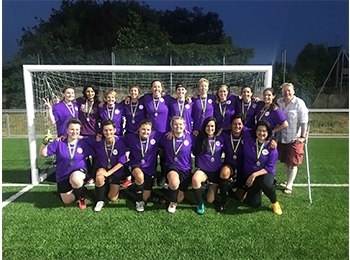 BLAGSS entered a squad of 18 for Sussex FA's women's 6-a-side recreational festival on Friday 22nd June. The festivals aim to bring together social, vets and beginners teams across Sussex to play in a friendly environment officiated by FA referees. Both teams fought hard across their six fixtures, with many newbies playing their first games outside of our weekly training so a huge achievement for everyone involved. Well-earned pints & burgers were enjoyed afterwards! Contact the Football (Womens) coordinators.